Karina was the first ever recipient of our Audrey Newton award, an award given to the committed and determined and to those who have made a positive lifestyle change. She’s still enjoyed the odd glass (bottle) of wine, had a life, worked full time and still balances and prioritises her exercise. A long term member Karina has really improved her overall fitness and wellbeing and we’re super proud to have her as part of the Burn It Family. "I have enjoyed the consistency of attending 3 sessions a week and I feel fitter, healthier and happier." 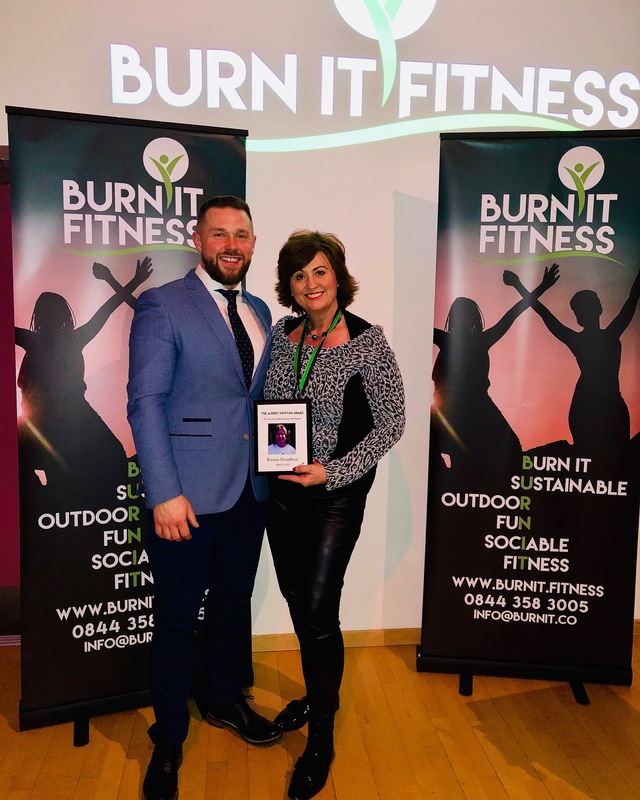 So having been the recipient of an award at our recent Body Transformation awards ceremony I thought it was finally time to accept success and tell you my story/journey with Burn It Fitness. I started with Burn It Fitness back in January 2013, it was a very cold miserable Monday and the first day back at work after the Christmas/New Year holidays so already depressed and somewhat lacking in the “New Year New Me” attitude I had adopted pre- Christmas! Add to this around 2 foot of snow and you can imagine the joy of that first ever session. However something obviously clicked as here I am 6 years later and still a member of Burn It Fitness. Last year I noticed there was a Body Transformation Programme starting in August 2018 and at first I thought well I’m already going to the sessions, so initially I didn’t think it was for me. I then spoke to Paul Duffy about it who suggested it would be just the thing for me, particularly on the back of my 7 weeks summer holidays – he knows me well! ☺ So I signed up for the 10 week Body Transformation Programme which should probably be renamed the “body and mind” transformation programme and I can honestly say it’s one of the best things I have done. I have learned so much about diet and exercise and that it really is a simple calculation of calories in versus calories out -7 days a week not 4 or 5! Over the years I had tried every diet club under the sun, I’ve tried all the fads and never stuck. I used to go to the gym but hated it. I would urge anyone looking to take up a fitness class to try out Burn It Fitness, it’s great exercising outdoors, every class is different, the instructors are great, very supportive and of course the lovely members a real mix of all ages and fitness levels who support and encourage each other.